It is a misconception that the divorce process has to end in a long and drawn out court battle. In many cases, the divorce process can be completed without either party ever having to see the inside of a courtroom. Known as collaborative divorce, this type of divorce is settled outside of the court and only needs to be finalized with the signature of a judge. Emotions and tempers can run high while a divorce is taking place. One spouse may feel so hurt that they seek revenge through a delayed process and fighting throughout the divorce. The truth is, even though this may somehow feel justified during the process; in the end the divorce is still finalized. All that really occurred is that both parties had more headaches and larger legal bills than was necessary. Couples who have decided to end their marriage have the option for allowing the process to move quickly and smoothly. By agreeing to a collaboration, they can end their marriage without a significant amount of problems. What Is A Collaborative Divorce And What Are The Rules? A collaboration for divorce is a legal process that allows each party and their attorney to sit together and negotiate the terms of the divorce. In some cases, a mediator may be present during these negotiations so you must know How Does Divorce Mediation Work? These negotiations address all the important issues surrounding the assets, debts, and obligations of each partner in the marriage once the divorce is granted. All of this is negotiated and finalized outside of court. Once an agreement has been made, the documents are submitted to the court for review and final approval. Each party must sign an agreement with their attorney stating that they wish to use collaboration to end their marriage. This agreement states that each person will not take the other to court for settlement of the divorce. If either party decides that they cannot negotiate the terms of the divorce in this manner and request to go to court, the collaboration is stopped and both parties will have to begin the process again from the start with different legal representation. Each party will sign a binding agreement that states they will provide all financial information and other necessary documentation when requested during the meetings. If at any time a subpoena is required to obtain documents or documents are being refused or withheld, the collaboration enters default and the process must start over. An agreement by the parties to be prepared for each meeting with the necessary documents to proceed through the meeting. A predetermined agenda for each meeting so that the process flows and neither party becomes sidetracked during the meeting with other issues. The ability to request a moderator if either party is having a hard time during the negotiation for a third-party point-of-view on the situation. What the terms are for delays or missed meetings. These are just the basic rules surrounding this type of divorce. Your Tulsa collaborative divorce attorney will explain all the rules surrounding this type of divorce as it applies to your case. For this type of divorce to take place, you will follow a series of steps. The duration of each step will depend on the issues being addressed in your divorce. Hire An Attorney. 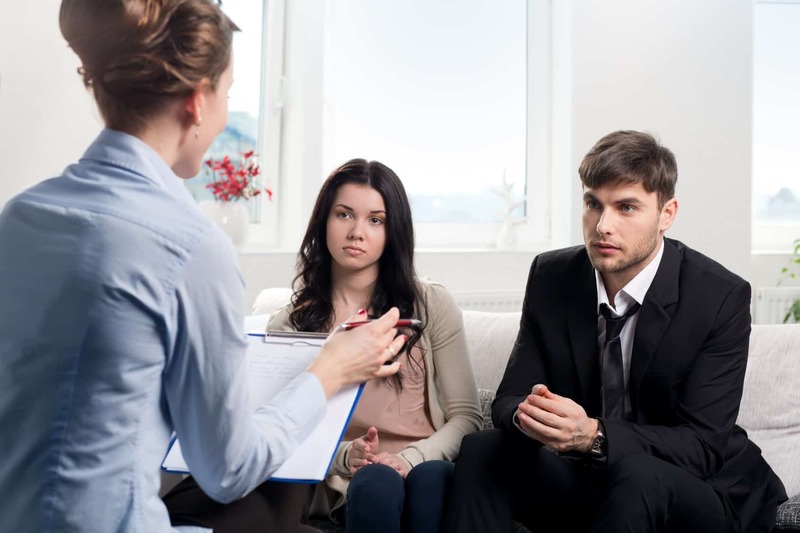 Your first step will be to find a Tulsa collaborative divorce attorney. It is important to find an attorney who is familiar with this type of divorce process so that you receive the best representation. Agreement Signing. Once both parties have secured legal representation, an agreement must be signed stating that both parties have decided to use collaboration as a way to complete their divorce. This agreement will also state that any defaults on this agreement will require both parties to seek new legal counsel and start the divorce process over. Begin Negotiations. This will be the longest part of the divorces process. During the negotiations, you will have to disclose financial information regarding assets and debts. You will have to negotiate terms of repayment of debts and if spousal support is necessary. You will divide assets of the marriage and discuss future retirement benefits. You will also establish custody for the children, child support, visitation rights and other important information surrounding the children 7zhhpnq. Final Document. When both parties agree to all terms of the divorce, a final document is created containing all the terms. Each party must review this document on final time and sign the agreement. Once the agreement has been signed, it is submitted to a judge for final approval. Once approved, the divorce is finalized. Always address each other formally by first name instead of referring to each other as “she” or “he” or any similar pronouns. Avoid using pet names for each other. By keeping things on a first name basis, you are establishing ground rules for a civil negotiation. Avoid name calling, derogatory statements, or references to why the marriage is dissolving. You are not there to rehash old arguments or start new ones. Work towards a goal. Instead of dwelling on all the things that went wrong with the marriage, start planning your future and make a goal to accomplish this divorce quickly. Having set goals makes these goals easier to achieve. Be prompt and prepared. Missing meetings or not being prepared delays the process and causes hardships and hard feelings. Speak with your attorney first about any concerns instead of going on “the attack” against your former spouse. Civil negotiations will create belter results. Deciding on collaboration can save you a lot of time and money associated with your divorce. It is the optimal way of dissolving a marriage without a lot of unnecessary emotional hardships. Making this process easier for both parties will allow them to move on and begin their healing process.